Trust is key to a successful long-term relationship (of any kind!). An easy way is to be proactive. Give your customers a courtesy call about how they can use any changes you make. This proactive, personalised approach increases customer loyalty. It also makes any other customer retention strategies more effective. “Being a trusted adviser takes time. We focus on becoming an integrated part of our client’s businesses. We want to be their one stop technology adviser. That means you have to help them with everything from a new mobile phone, to planning IT strategy. I think the reason we have such high partnership scores is our customers trust us. We always give them unbiased advice even if we don’t make much money in the short term. We know the names of everyone that works for our clients. Even something as simple as calling in when one of our team is in the area for a chat builds trust. They don’t think every time you appear you are selling something. If you put their interests first, they reward you with trust. That is the most important part of a long term partnership”. People do business with people they trust. 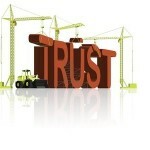 Trust is essential in business. Building customer relationships is the best way to build it. 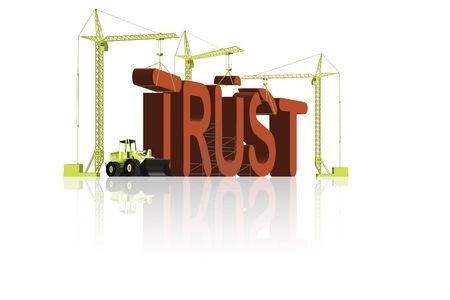 An African Journal of Business Management study shows that, as trust increases, commitment grows. The study then recommends building trust through shared values. So what is a shared value? “What makes you different from your competitors?” Use their answer to find ways you can help build that point of differentiation. Give them a follow-up call the next week and let them know what you came up with. This shows you have a shared value and are interested in their business. Just providing a service is no longer enough. To beat competitors, start building shared values with customers. Show you take an interest in them and their success!